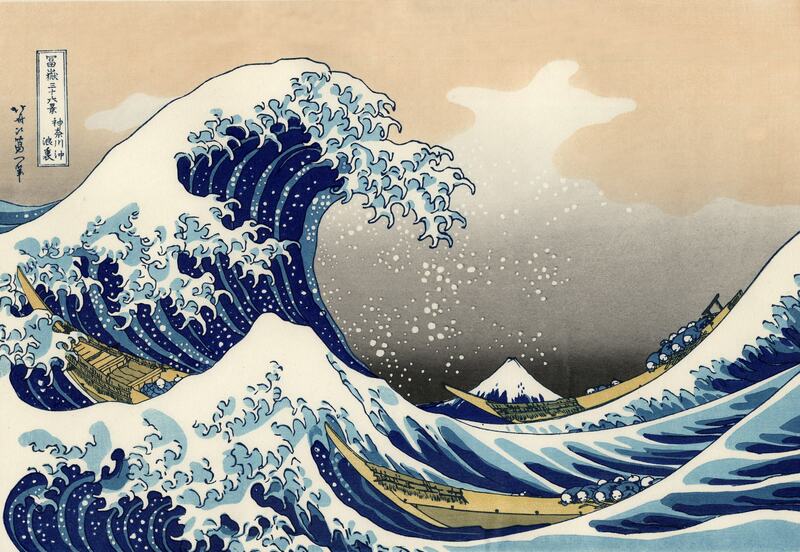 As an observer will note, the hideous, gigantic, cosmic entity is nowhere to be seen in the actual painting, having disappeared below the whitecaps moments before, leaving the enormous wave in its wake. One wonders what the intrepid hunters in the boats plan to do if they manage to catch the Great Old One. No doubt it will form the basis for a truly epic haiku. Click over yourself for some weekend fun!